It's a good day to be a BTS fan, especially after BTS just made history as the first K-pop boy group to address the United Nations! 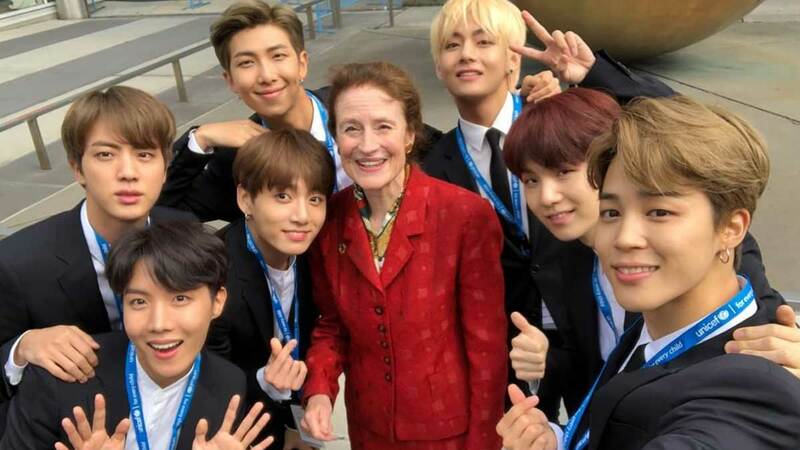 All seven BTS members headed to the UN headquarters in New York to talk about their "Love Myself" campaign, which supports the UN's youth initiative, "Generation Unlimited." "Let's all take one more step," group leader and rapper, RM, said. "We have learned to love ourselves, so I urge you to speak yourself. No matter who you are, where you're from, your skin color or gender identity, speak yourself, find your name and your voice by speaking yourself." So cute! Dr. Vicki Belo recently posted a video of her daughter, Scarlet Snow Belo, dropping Bisaya phrases like "Uy, 'day!" at a restaurant! Vicki wrote, "@scarletsnowbelo entertaining everyone [with] her Bisaya skills. Can you suggest other Bisaya expressions for her?" Yet another sexual offender has been given a pass by a US court: Justin Schneider, who was accused of kidnapping and masturbating over an unconscious woman. He was initially sentenced to two years in prison, but pleading guilty last September 19 to one count of felony assault reduced his sentence significantly. He is now required to wear an ankle monitor and participate in a treatment program. Online organizations are outraged and seek to protest the result of the case (Cosmopolitan). The bridge, which connects the Estrella Street in Makati and Barangka Drive in Mandaluyong, has been reopened for now due to heavy traffic around the area by the DPWH. It was supposed to be closed for 2.5 years for repair (TopGear). Following the resignation of previous director Sheron Dayoc, Joyce Bernal will be directing Children of the Lake, a film on the Marawi siege produced by Piolo Pascual. "We've known it. There were creative differences. It's sad of course. But what can we do? We can not focus on that. We have to focus on the film," Piolo said (ABS-CBN).